The domestic energy boom and tighter regulations aren't going away no matter who wins the election. But Obama and Romney differ widely on several key issues. It's likely more land and offshore areas would be open for drilling if Mitt Romney wins the White House. He has repeatedly called for more state control (read: faster permitting) and for drilling to be allowed in waters off the East and West Coasts. Obama has a mixed record on drilling. He's opened some new areas in the Gulf of Mexico and issued preliminary permits to drill in the Arctic. But his administration has issued fewer permits than that of George W. Bush, largely as a result of the moratorium following the BP spill. How much additional access would boost U.S. oil production is another matter. Already, 70% of the nation's oil and gas resources are available for drilling, according to the Congressional Budget Office. 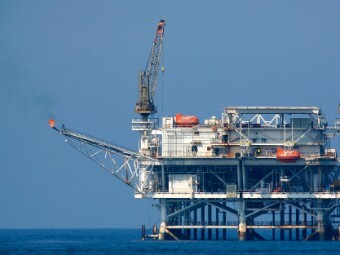 And expanding offshore drilling would require the approval of the states as well, something states such as Florida and California -- both with big coastlines and lots of oil -- are unlikely to do. One wildcard: ANWR, or the Alaska National Wildlife Refuge. Long sought by oil companies, a Romney win coupled with even a slight Republican edge in the Senate would be enough to open the oil-rich area, according to the Rapidan Group's Robert McNally.